Inventory control in manufacturing - easy! What items do you have and in which quantities? What do you need to reorder? Where did the items come from and where are they going to? There is a balance to stock management: keeping it organized while keeping it simple. Every item in stock has to be easy to find and every worker needs to be able to find it. If you have too many standing assets, it’s money lying on the floor! If you have too little stock, you will have nasty surprises during production. If you do it right, you could reduce inventory levels by 20% and stay clear of nasty surprises. If you do it wrong, you will have lost items and have delays in production. The stock is a supporting unit for manufacturing. It needs to run efficiently. There is no great benefit in over specifying your items, nor is there benefit in keeping all items in one great pile. A unique part number, which identifies it at once. Typically this is a serial number. This is like a social security number: there cannot be two alike. These are also what computers use to distinguish your items from one another. Name, group, manufacturer etc. This is for humans. There mustn’t be two items with different part numbers, but same identifiers on stock. If it has different vendors, it’s the same item. If it’s an analogue – and this is important information – it’s a different item. If your stock consists of hundreds or thousands of items, it’s a pain to look up something if the grouping is not logical. It’s like looking for a needle in a haystack. A group ‘Raw materials’ having 1500 items will not help you pinpoint a part. A more specific group, ‘Sheet metal’ will narrow your search down faster. Extra identifiers like ‘Manufacturer’, ‘Thickness’ or ‘Type’ (Yes, you can add custom columns in MRPEasy!) will make it even easier. 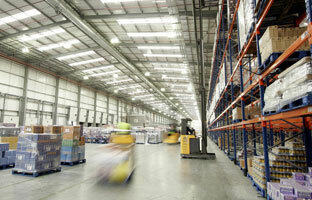 The previous point also applies to dividing your warehouse into specific units of storage. You need to be able to find an item from the warehouse as fast as possible with as little information as possible. It does not make sense to have every millimeter of the warehouse specified, but also you cannot keep 300 types of screws in a 400 square foot ‘general warehouse’. You should have shelves, bins or similar, listed according to what you are storing and the size of the storage room. Keep it simple, but fast. Vendors typically sell by pellets, bags, rolls, cans etc. Depending on the type of manufacturing – discrete, process or mixed – these should be converted to useful units. For discrete items, each one should be accounted for. It’s smart to convert fluids, powders and similar to base units (metric or imperial). Common pitfall #1: defining the bill of materials per different quantity than the UoM of the item. Common pitfall #2: if a product is in several different packages, then not having separate stock items for non-packaged and packaged products. (Depends on the particular case). Serial numbers can be very useful, but not in every situation. While barcodes and serial numbers are cool; logical naming and categorising together with well-organized warehousing is the first priority. If there are automatic processes that use serial numbers, then it’s a must have. Serial numbers can be assigned per stock article (all cans of red dye share one serial number) and per unique item (each can of red dye has an individual serial number). 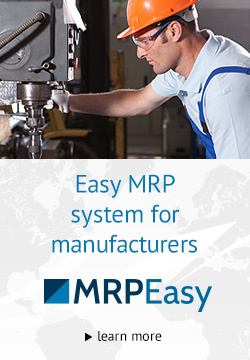 For the first case, the serial number will be the part number in MRPEasy. In the second case, firstly a general stock article is created. Then each individual item will be scanned on arrival to stock and have its serial number saved. Barcodes can be generated for printing. It’s crucially important to figure out the details at the heart of inventory control. 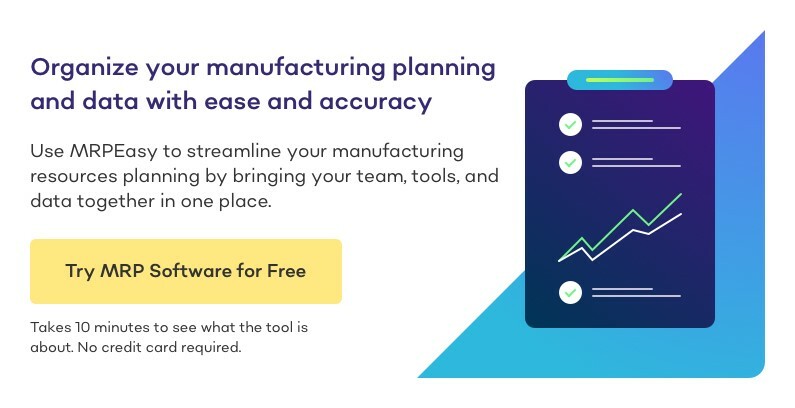 This is not only important for consistent supply to manufacturing and good reports to accounting, this is also important for workers to enjoy their jobs more, by giving them the correct tools and avoiding human errors. What items you have and in which quantities. What you need to reorder. Where the items came from and where are they going.